Let Our Skilled HVAC Professionals Help You Today! 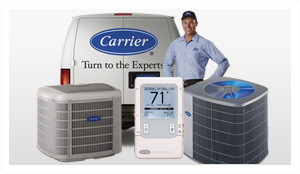 We’re proud of our service to the Western Chicago Suburbs since 1934 and look forward to helping you with your air conditioning and heating needs. Our technicians are NATE certified and have years of experience solving the toughest air conditioning and heating issues. Don’t risk your comfort — our team will get the job done right the first time! With almost 70 years of experience serving the Western Chicago Suburbs, we know your area better than anyone. We’ve seen it all and will be able to quickly and accurately diagnose and resolve your issue and get you comfortable again. We’re trusted in our community and in our client’s homes. We will fix what you need fixed, solving your problem without selling you unnecessary extras. Call us today and discover why so many of your neighbors rely on us! Why Berlack Heating and Air Conditioning ? Berlack Heating and Air Conditioning is a company that has over seventy years’ worth of experience when it comes to HVAC systems and service. As a homeowner, you have a responsibility to ensure that the entire infrastructure in your home is working properly. As a result, you will need to give us a call from time to time. This is because we will be providing the services that you need. These include repairs, installations, maintenance and inspection for your system. You will be happy to know that technicians who carry out this work will be properly trained and qualified. All of our customers can ensure that a quality job is going to be done. Whether you are looking to keep your home nice and cool during the summer, or warm in the winter, do not be afraid to ask us for help. Repairs are going to be important when your system breaks down. Whether you have a gas furnace, boiler or an air conditioner, you want to make sure that the problems are sorted out before you need them. 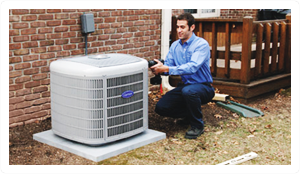 Our technicians will also be able to give your system an inspection. A proper inspection once a year is going to ensure that your system’s problems are always caught in time. You will of course need to inspect your system once a month yourself, but once a year it is important to have a professional come in. They will be able to take a look at the system and ensure that everything is working well. It will also help to increase the life of your system. If you want a replacement, then do not worry. We will be able to replace your system with a range of different products that are of top quality. Top quality equipment along with a top quality job is going to ensure that your home’s temperature control runs perfect all the time. 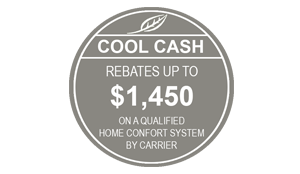 If you are looking for more information, then you will be able to give us a call at Berlack Heating and Air Conditioning. All you need to do is pick up the phone in order to find out more about our services.